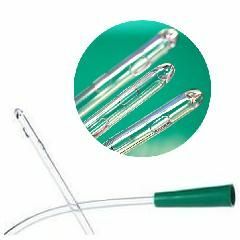 The Coloplast Self-Cath Plus Hydrophilic Female Catheter is designed for single use, intermittent self-catheterization. The unique hydrophilic coating activates immediately upon exposure to water for fast, clean lubrication and maximum ease of use. To facilitate catheterization, the Self-Cath Plus offers an uncoated GripZone area. The Self-Cath Plus is flexible, has smooth fire polished eyelets and is made of medical grade - Latex Free - PVC.